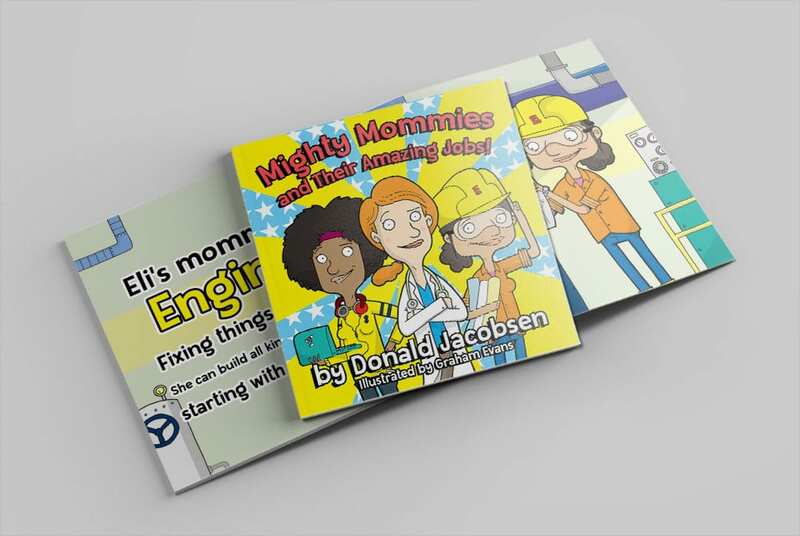 Grab your copy of Mighty Mommies and Their Amazing Jobs today to set your kids on the path to learning about awesome STEM careers! Keep scrolling to learn more. Get access to my occasional newsletter, free samples of my books, a lesson plan for teachers and parents, printable coloring pages, and more! Just enter your first name and email address, then click “Give me my free stuff”! I promise I’ll never spam you and I’ll never sell your information. You can unsubscribe at any time. By entering your e-mail address and clicking the sign-up button, you agree that you are freely giving consent to be contacted by e-mail for the purposes of receiving free and promotional material from Donald Jacobsen.